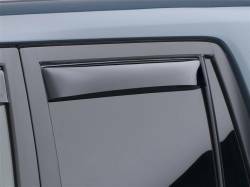 Weathertech Side Window Deflectors for the 08-15 Scion xB (xB2) 72469 / 82469. WeatherTech Side Window Deflectors offer you fresh air enjoyment with an original equipment look. They are crafted in Germany from the finest 3mm acrylic! 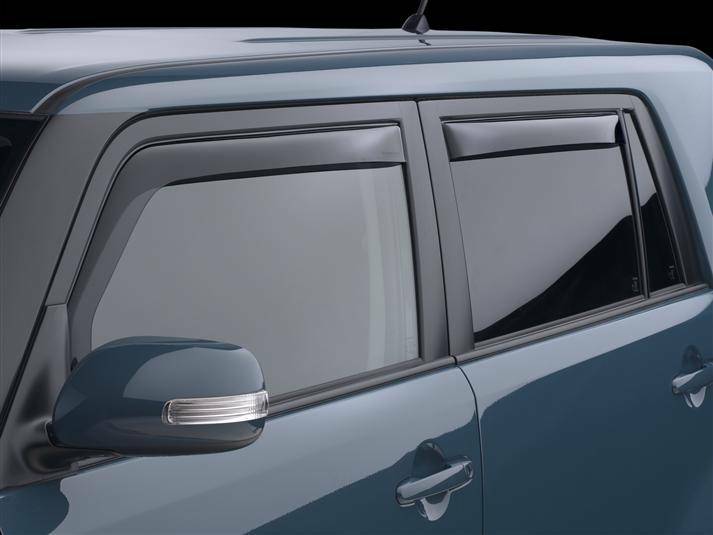 WeatherTech Side Window Deflectors offer you fresh air enjoyment with an original equipment look. They are crafted in Germany from the finest 3mm lightly-tinted acrylic material available. Installation is quick and easy, with no exterior tape needed. 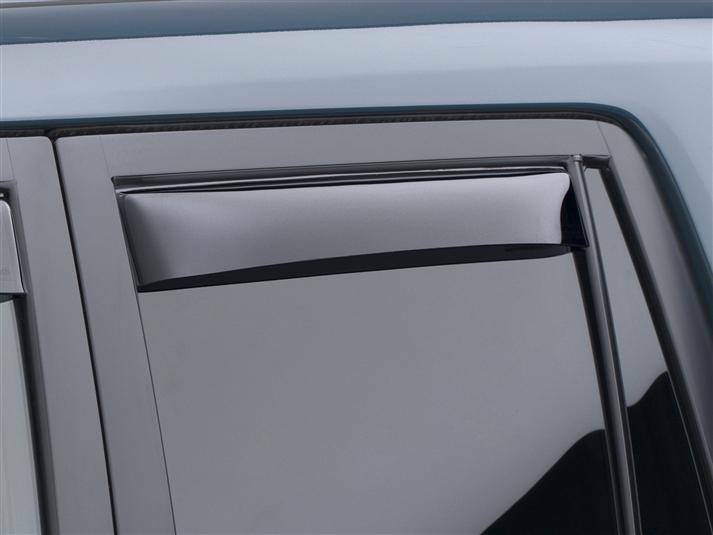 WeatherTech Side Window Deflectors are precision-machined to perfectly fit your vehicle. These low profile window deflectors help to reduce wind noise and allow interior heat to escape. 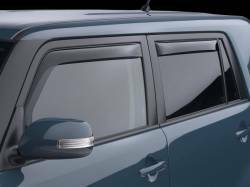 Also available in dark tint for most vehicles. Maximize your fresh air enjoyment. Installs inside the window channel. 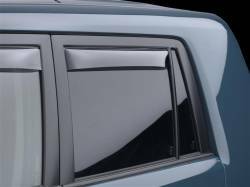 Minimizes interior heat when parked. Helps keep side windows dry in the rain. Comes as a Front AND Rear Pair (4).